Apple's New iPad 's arrival in stores will still push through on Friday, 8am. Apple announces in their recent press release that the new iPad is still set to arrive in stores this Friday, March 16, at 8am. The long awaited table is set to arrive in the U.S. and in ten countries: Australia, Canada, France, Germany, Hong Kong, Japan, Singapore, Switzerland and the UK; along with Puerto Rico and the US Virgin Islands. Besides the Apple retail shops, the new iPad will be also sold in different stores like Best Buy, Radio Shack, Sam’s Club, Target and Walmart. CUPERTINO, California?March 14, 2012?Apple® today announced the new iPad®, the third generation of its category defining mobile device, will arrive at Apple’s retail stores and the Apple Online Store (www.apple.com) on Friday, March 16 at 8:00 a.m. local time in the US, Australia, Canada, France, Germany, Hong Kong, Japan, Singapore, Switzerland and the UK; along with Puerto Rico and the US Virgin Islands. The new iPad features a stunning new Retina™ display, Apple’s new A5X chip with quad-core graphics and a 5 megapixel iSight® camera with advanced optics for capturing amazing photos and 1080p HD video and still delivers the same all-day 10 hour battery life* while remaining amazingly thin and light. iPad Wi-Fi + 4G supports ultrafast 4G LTE networks in the US and Canada, and fast 3G networks around the world including those based on HSPA+ and DC-HSDPA. 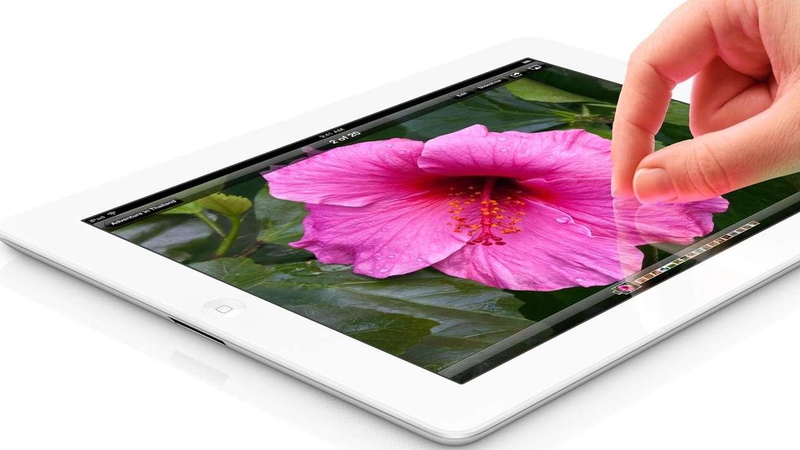 ** Additionally, iPad 2 is available at a more affordable price starting at just $399. Every customer who buys a new iPad at an Apple retail store will be offered free Personal Setup service, helping them customize their iPad by setting up email, loading new apps from the App Store™ and more, so they’ll be up and running with their new iPad before they leave the store. Personal Pickup, available at Apple retail stores in the US and a feature of the free Apple Store® app, lets iPad customers shop and buy from anywhere they are, then pick up their purchase at any Apple retail store. In the US the new iPad will also be available at Best Buy, Radio Shack, Sam’s Club, Target and Walmart. Apple iPad 2, Shipping to Toys "R" Us Turf?